DEF-DFT Ferrous Gage Kit Reliability Direct, Inc. Your Direct Source for Reliability, Maintenance, Test & Measurement! 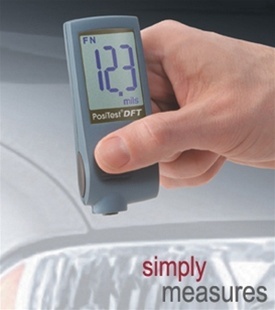 The PosiTest DFT Coating Thickness Gage measures coatings on ALL metals. It is the economical choice that retains the uncompromising quality of DeFelsko inspection instruments. New! 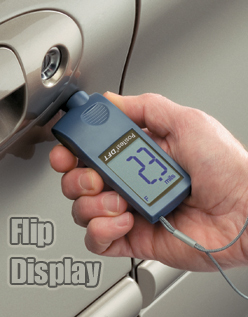 Flip Display for right-side-up viewing in any position. PosiTest DFT Ferrous measures non-magnetic coatings on steel. PosiTest DFT Combo measures both non-magnetic coatings on steel AND non-conductive coatings on aluminum, brass, etc. Automatically recognizes the substrate and takes a measurement. and two (2) year warranty.